It's now over to me, Kevin, and my review of The Old Street Barber Co Beard Oil. As Laura has mentioned I was recently approached and couldn't refuse. I love a good beard oil and without them my beard would be rather wild and out of control, not a bad thing I hear you say however it's nice to look groomed and stylish at times, especially when attending events. I was sent a bottle of the Peppermint & Lemon Peel Beard Oil to sample and note that it has been classed as a beard conditioning oil. The Beard Oil on Amazon arrived perfectly packaged however the bottle had leaked slightly in transit. It wasn't much and it was well packaged so never leaked through Amazon's cardboard box and I've been assured this has never happened before so fingers crossed just a one off. When I dried the bottle off there was no further leakage which I was pleased with. I've had beard oils in the past and once the bottle leaks it normally continues to do so which then creates a sticky mess. This bottle didn't do that thankfully. The Old Street Barber Co detail this oil as being made for all types of beards, long or short. They claim is tames and conditions your beard leaving it soft with a manly shine with a pleasant yet none overwhelming fragrance and I have to agree. 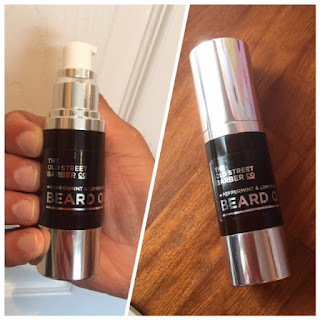 My beard does smell fresh, looks groomed and has a lovely sheen when I've used this beard oil. One thing I've found though is that I tend to have to use quite a bit of the oil to get the desired effect I want, compared to some other oils I've tried on the market. The smell is amazing though and Laura always comments on how minty fresh the beard is. Top marks there as I wouldn't want the beard to smell like the last thing I've eaten! I've been road testing this beard oil for a good couple of weeks now and I'm pretty happy with it. Apart from having to use a bit more than what I'm used to there's not much I can fault it on. You get 30ml in a bottle and it's still going strong after daily use for the past few weeks. The bottle that the beard oil comes in is modern and stylish with a pump dispenser and lid making it extremely easy to use and keep clean. Like I said previously, no sticky messes here. The Old Street Barber Co are proud to say their beard oil is manufactured here in the UK with 100% natural ingredients, and that is great considering what normally goes into some cosmetic products these days. I would say this beard oil is expensive compared to others on the market. It currently retails for £30.00 for 30ml but is on offer on Amazon for £20.00 at the moment. If you want a luxury product with natural ingredients you usually have to pay more for it though. Overall I really like this beard oil. It's not greasy, smells fresh and the bottle it comes in is perfect. 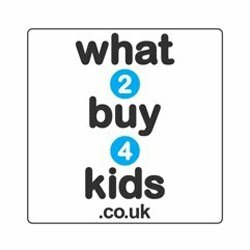 Yes it's a little more expensive than other brands but you get what you pay for and I'd quite happily purchase and use again. Please visit www.theoldstreetbarber.co for more products and information. You can also see what they get up to on Facebook, Instagram and Twitter so why not pop over and say hello. I was sent a bottle of the Peppermint & Lemon Peel Beard Oil in return for an honest review. All opinions are my own. 0 comments on "Review: The Old Street Barber Co Beard Oil"